NAOMI CAMPBELL STOLE THE LIMELIGHT AT THE RECENT FASHION FOR RELIEF GALA, wearing the exclusive Bvlgari Wild Pop High Jewellery Microphones necklace. Who could be a better personality to adorn the latest collection from Bvlgari Wild Pop that celebrates the glamour, innovation and savoir-faire of the ‘80s than the British supermodel? After all, Campbell has established herself as one of the most in-demand supermodels in the world since the ‘80s. 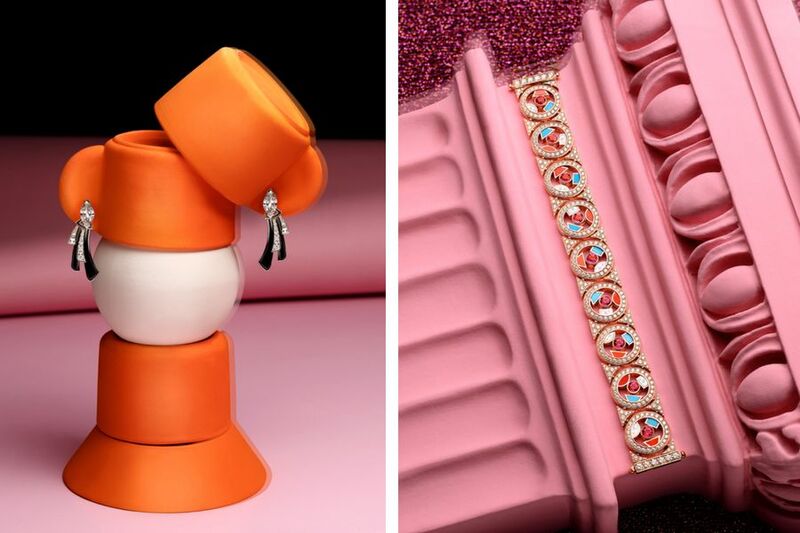 Lucia Silvestri, Bvlgari’s Creative Director, found the gem for this latest collection when she visited the Andy Warhol Foundation for the Visual Arts in New York City. When going through the Bvlgari ephemera in the Pop artist’s archive, she was struck by Warhol’s affinity for the brand. “I wanted to do something about this fantastic dialogue between Bvlgari and Andy Warhol,” Lucia explains. 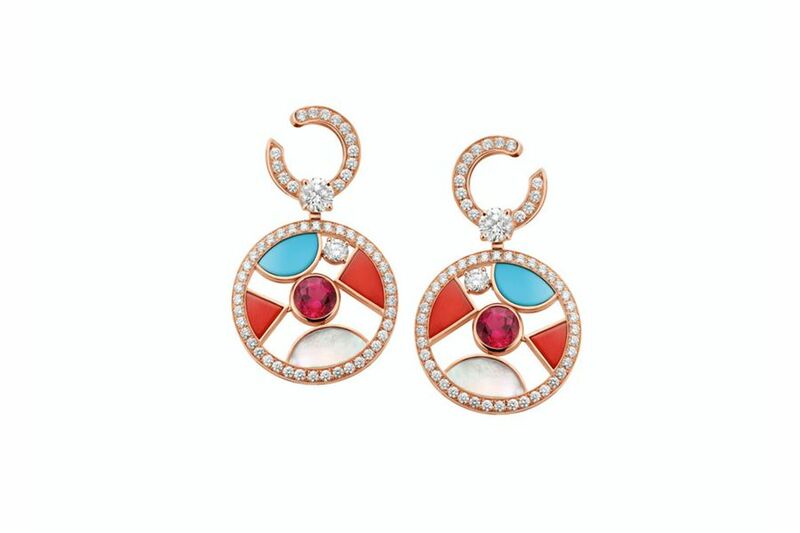 During the 1980’s, Nicola Bulgari fell in love with New York City and made it his primary residence. As a major player in the social and fashion scene of the metropolis, he began to make special pieces for private clients. Always drawn to big personalities and creative spirits, Mr Bulgari became close with Andy Warhol shortly after arriving in New York. 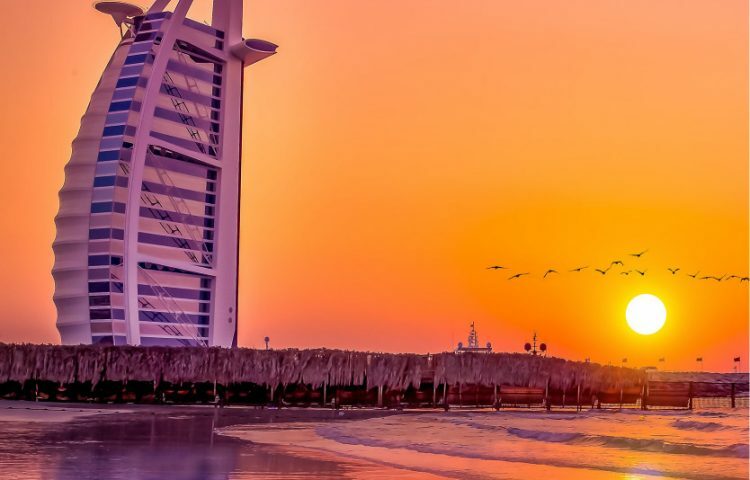 Now in 2018, society is at a turning point for technology, innovation, fashion, and culture. Roles are shifting and being remade with lighting speed. With Wild Pop, Lucia set out to create a collection that captured the frisson and daring of the current moment. When conceiving the Wild Pop jewels, Lucia looked to the heady influences at work across every genre during the ‘80s, remembering especially the bold fashions, dance music, and trendsetting TV shows. Some 1980’s movies, too, reminded Lucia of certain mischievous recreational activities, such as in Desperately Seeking Susan, where Madonna shared a joint with a friend, or when Sean Penn played the lovable stoner in Fast Times at Ridgemont High. 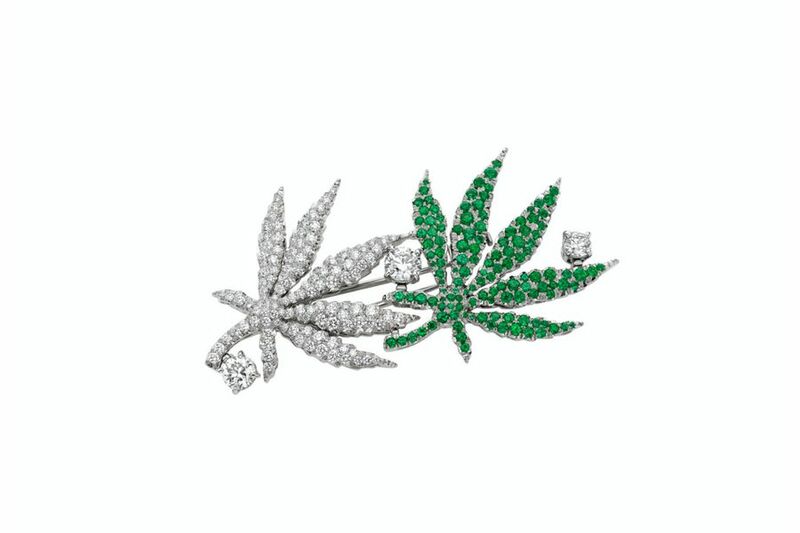 Perhaps this was how some of the pieces of the High Jewellery became devoted to cannabis, adding an element of unconventionality to the collection. 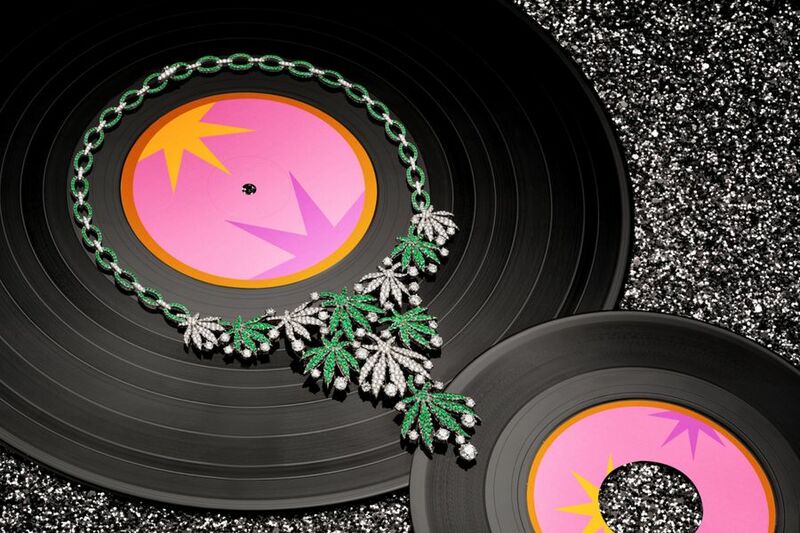 The Happy Leaves necklace, inspired by the recreational use of the herb, is composed of white gold, 14.63 carats of pavé-set diamonds, and over 5.60 carats of pavé-set emeralds. 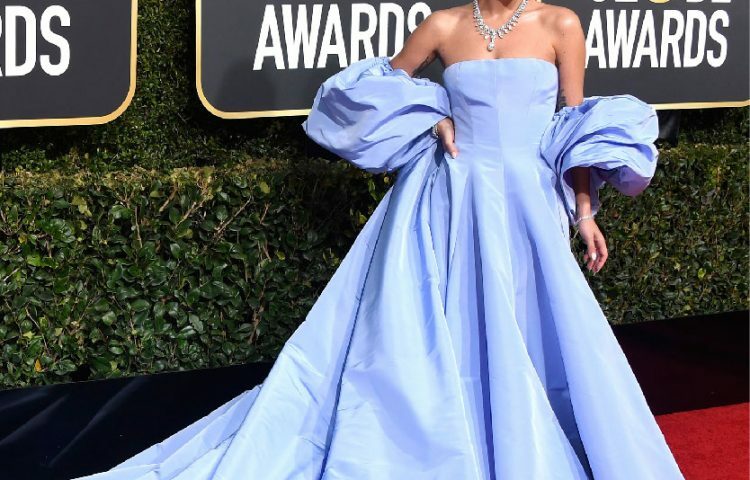 It’s an ironic, elegantly risqué way to depict the magical effects that enchanted an entire generation with dreams of escapism. Along with Madonna, the synthesisers and the microphones that appeared in music videos on MTV also inspired Lucia to create some of the most provocative pieces in the Wild Pop collection. “When you see the Synthesizer jewels, you feel as if you could play them,” says Lucia. 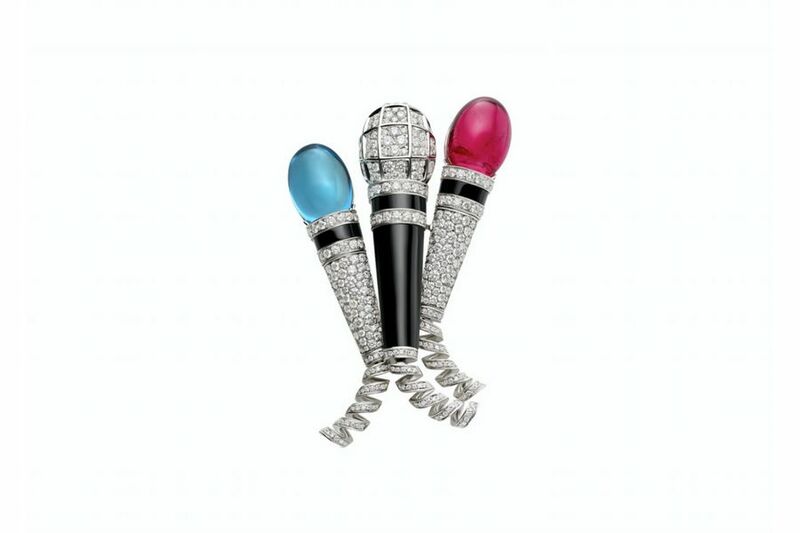 Distinctive microphones were the design reference for the colourful Pop Mics necklace, bracelet, and brooch. 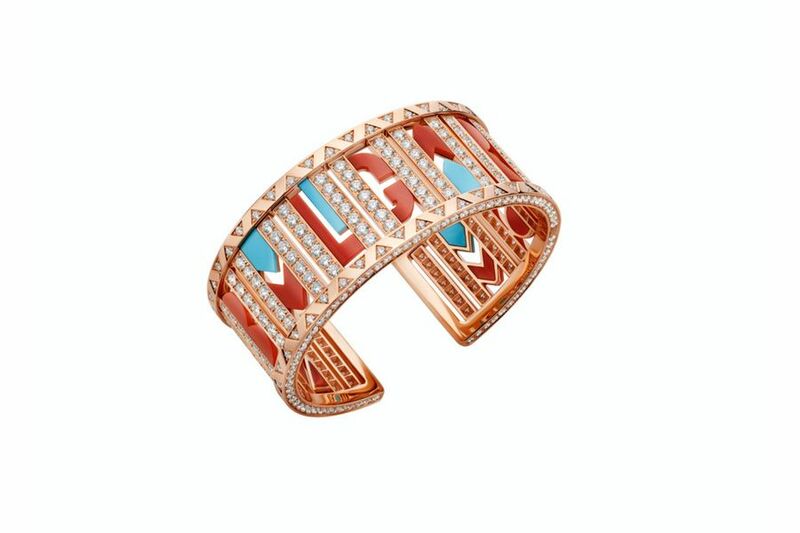 For fans of Miami Vice, Bvlgari brought back the images of its theme song, the Miami palms and blue skies, and Art Deco buildings, reigniting the fashion world’s fascination with the city. Here in the collection, Miami is evoked by flamingos in pink gold and onyx set in a necklace of yellow gold, carnelian, agate, and pavé-set diamonds. A few pieces stand out as the most magnificent of all in this latest collection. One of the eye-catchers is definitely the Queen of Pop necklace, a platinum reinterpretation of an ‘80s jewellery silhouette. With its semi-rigid shapes and a stunning 24.80ct sapphire combined with baguette diamonds, mint tourmalines and sapphires, this exceptional necklace epitomises a ‘Pop’ approach to High Jewellery. Daring, unexpected, and unapologetic, it is a synthesis of all of Bvlgari’s most prized design rules.